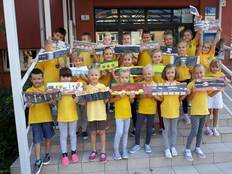 In Poland this year the municipalities Ełk, Katowice and Wydminy took part in the campaign "ZOOM Kids on the Move for Climate Action". Together the children of the participating institutions were able to achieve 11,067 "Green Footprints". 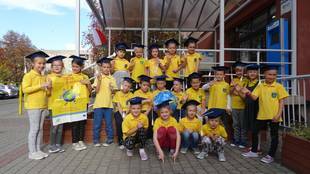 This year in September, there was much talk in Elk about road safety, sustainable development and environmentally friendly means of transport. The students encouraged their parents and many other citizens of the community to adopt a nature-loving and climate-friendly lifestyle. 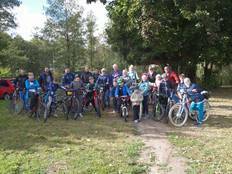 In addition, an obstacle course for bicycles and a kind of scavenger hunt outside the city were organised to sharpen the children's sense of orientation. 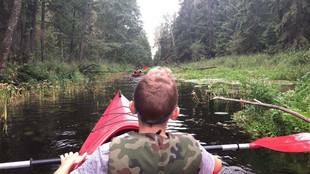 Some classes went cycling together, others went canoeing. Parents were also invited to take part in the excursions. 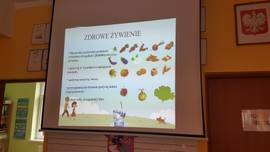 But there were also activities about food production chains and how to recognize fair products. 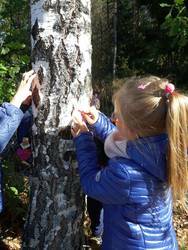 The younger pupils had a lot of fun in the "green lessons" in the forest. There they were taught a lot about the habits of the animals, learn to recognize various plants, trees and bushes or play outdoor games. All the children who took part in the Climate Mile campaign were able to take part in a raffle. To the enjoyment and excitement of the children there were many prizes and awards to win. 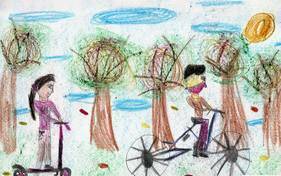 The children participated joyfully in the climate mile campaign and collected motivated 2,034 "Green Miles". This is even more than the way from Katowice to Brussels! Thank you very much for your enthusiastic participation in this year´s campaign. Primary school no. 22, for example, took part in the campaign with 33 children. 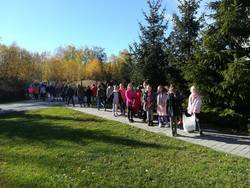 The climate protectors not only made their way to school in a climate-friendly way, but also worked eagerly on climate feet for the conference in Katowice, held demonstrations on ecology and discussed climate issues in general. 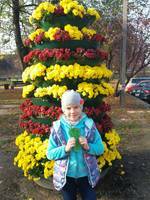 The children were able to contribute 422 "Green Footprints" to the campaign. 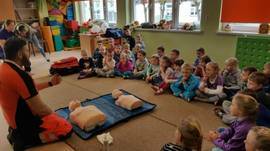 23 pupils from primary school no. 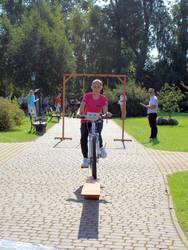 67 in Katowice also participated in the climate mile campaign. Thank you very much for the great poster and the many politician's feet! The little climate protectors of elementary school no. 15 were able to collect 743 "Green Miles". 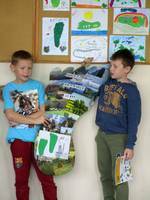 As can be seen on the photos, the children put a lot of effort in their posters. The green socks are also a successful representation of the climate miles. What a nice idea! The third graders of elementary school no. 27 were also involved in the climate mile campaign and collected 541 "Green Miles". As part of the campaign, many discussions were held about climate protection, healthy nutrition and energy saving, as well as walks and excursions. For example, there were discussions about the possibilities of reducing CO2 emissions. In this community, around 150 children from 6 different classes took part in the climate mile campaign. As a result, the small climate protectors can show 2,210 "Green Miles", 1,856 red and 2,009 blue ones. Congratulations to this good result! The climate mile campaign was very popular among the children as they were able to learn a lot about climate protection through various playful activities. How can I save water or electricity? How important is the climate for our future? What influence do people have on the climate? How can I eat healthily? Where does our food come from? Questions like these can now be answered by children without much time for reflection. 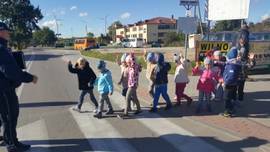 Saving energy, recycling and climate-friendly mobility are no longer foreign words for the little climate protectors! 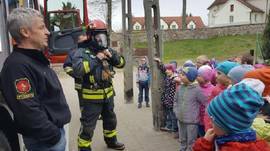 The children were also visited by rescue and police personnel. Now they know how to behave in certain situations, such as crossing a crosswalk safely, providing first aid and what to look out for when a fire breaks out. 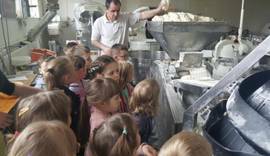 The programme also included an excursion to a bakery, where the production and regionality of the products were in the foreground. 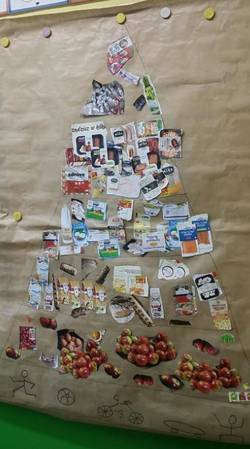 The children also had a lot of fun preparing healthy meals together, ideally with fruit and vegetables from their own school garden. There are many great photos of the different activities and projects. Many thanks for the great commitment, the enthusiasm and the sending of the impressions and results!